This is an "ask all the questions" kind of meeting. If you have a diet that you are using or if you have purchased one of my specialized diets (without phone support) this service is intended to add value to it. 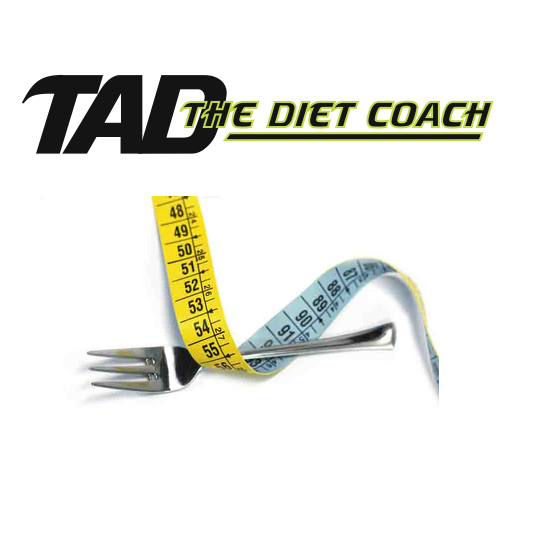 It is intended to be a time for Tad to evaluate what is going on in your diet and make any changes that will help you move toward your goals. This can also be used as a time where you just ask Tad the Diet Coach any questions that you might have regarding diet, nutrition, bio-chemistry, or nutritional supplements. Note: You will be contacted via email or phone to arrange your conference meeting time. The suggestions that Tad the Diet Coach offers in these in-office sessions are merely suggestions and should not take the place of any medical advice or treatment.